Bigger, faster, louder. It's not often that a notebook gains weight and girth in successive generations. In this case, the new Alienware 17 R4 utilizes the extra space wisely for an overall stronger experience that more than makes up for the added mass. Positive: Powerful hardware; high gaming performance; large screen; excellent display; good ergonomy; decent speakers. Negative: Relatively high price. Positive:Solid workmanship; good connectivity; quick charge. Negative: Poor display; mediocre speakers; high price. 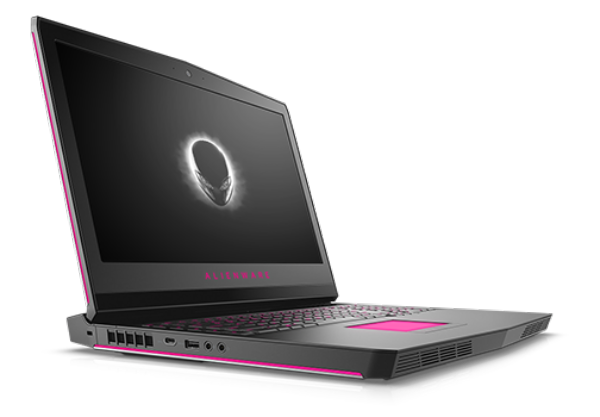 When one mentions Alienware it is almost guaranteed to turn heads due to the name being synonymous with gaming and heavy overpowered notebooks. Although gone are the days of the Alienware of yesteryear or rather 2008, despite that with a newly redesigned chassis in some ways the new Alienware 17 R4 is bigger, faster and louder. To start with, the added space was wisely used for a much better and stronger experience which does make up for its additional mass. Equipped with this system variant is Intel’s 7th gen Core i7-7820HK processor and a Nvidia Geforce GTX 1080 which provides for its graphics muscle. It also comes with 16GB of memory which is plenty for most gaming applications. One immediately noticeable standout feature of the Alienware 17 R4 is the Tobii eye-tracking IR camera for games that adds that feature, although users should keep in mind this feature is not available on the lowest end variant. Moving on to the LCD, Alienware offers anywhere from a 4K IPS display to a G-Sync QHD TN panel depending on use case, especially factoring the fact that while IPS provides better viewing angles, vibrancy and much better colour reproduction, the TN panel is slightly superior due to its higher refresh rates and support for G-Sync, nonetheless both displays are quite good given the use case. When it comes to user input the Alienware 17 R4 is no slouch either with the keyboard providing good key travel distance for feedback and a decent amount of force to actuate without causing accidental presses or fatiguing. The touchpad however might have some missteps in terms of size but otherwise is quite accurate and responsive. Audio on the R4 is quite good especially with well reproduced bass and the fact that the speakers and subwoofer are front mounted although this can cause problems when resting your palms on the edge which might cause some sound to be muffled. Overall there are no static or audio imbalance to speak of. As with most Alienware systems the R4 also includes the AlienFX software which allows customization for macros, keyboard colour, system monitoring, recording and some performance profile options. Finally, to address the giant elephant in the room is the chassis itself, as with Alienware being Alienware they certainly have pulled out all the stops to make this chassis feel as premium as possible with its magnesium, steel, rubberized surfaces and anodized aluminium grey outer lid, this however causes weightage to take a hit. Nonetheless this makes the R4 as rigid and solid as can be. Conclusion wise, should a gamer demand no less in terms of premium design and performance with a giant hole burning through their wallet, the R4 will do well to satisfy those needs.